When a disaster strikes an urban area, there are all sorts of unexpected problems that require specific tools. For example, what if a gas line breaks and your home starts filling up with dangerous, flammable gases? You’ll need a gas shutoff tool in order to turn the gas valve. Or what if someone is trapped under debris in a locked room? You’ll need a prybar or a sledgehammer to get through the door and reach them. Or what if you need lifesaving medicine that is behind lock and key in an abandoned pharmacy? You’ll need a lockpick to get inside. That’s just a couple examples of tools you might need to survive an urban disaster. 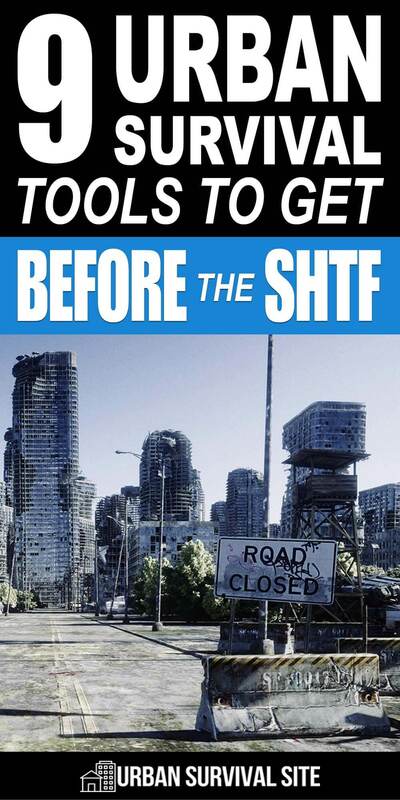 If you live in the city, you’d be wise to get these tools ahead of time so you’ll have them when you need them. Here are nine urban survival tools to get before it’s too late. Both during and after a major disaster, your survival may depend on your ability to access certain buildings. While looting or breaking into occupied buildings is never advisable – both for moral reasons and the simple fact that you may end getting shot – the reality is that many buildings are going to be abandoned when a disaster strikes. Having a lockpick kit and knowing how to use it means these building and the supplies within them will always be accessible to you. Those supplies may be crucial to both help you survive a disaster and help you rebuild after it’s over. A rescue card is a multi-purpose tool that is as slim as a credit card and designed to be easily stored inside your purse or wallet. This tool includes things such as a blade, a wrench, nine feet of paracord, a screwdriver, a can opener, and more. You never know when you might need one of these tools during and after a disaster, and carrying a rescue card with you means you’ll always have them no matter where you are or what you’re doing. An entrenching tool is a special kind of shovel that is designed to be incredibly compact as well as incredibly versatile thanks to its extra features which you won’t find on an ordinary shovel. These features include things such as a saw blade, a screwdriver, the ability to flip the shovel head to turn it into a gardening hoe, and more. Rebuilding after a disaster often requires a great deal of dirty work, and an entrenching tool enables you to complete many of these jobs using just one multi-purpose tool. No matter what type of disaster you’re facing, a scarcity of electrical power is almost certainly going to be one of the consequences. You can use a generator to power your home, but having a power bank means you’ll be able to charge essential items on the go as well. If you purchase a power bank that also doubles as a jump starter, you’ll be able to jump-start your own vehicle, jump-start a vehicle for someone else, or jump-start a vehicle that you find abandoned on the side of the road. It’s a useful ability that could prove to be lifesaving both during and after a disaster. An auto bailout tool is a great tool to keep on your person regardless of whether you’re preparing for a disaster. If you get in a bad wreck, having the ability to cut your seatbelt and break the glass of your window or windshield may be the only way for you to escape the wreckage if no help comes in time. 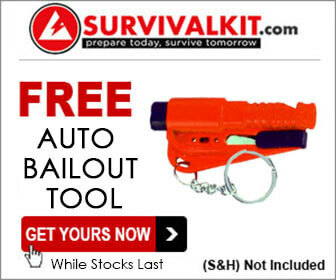 An auto bailout tool also has an emergency whistle to help you signal for help once you’ve escaped. Since the likelihood of having a wreck goes up dramatically during the chaos of a major disaster and the likelihood that someone will be able to help you goes down dramatically as well, it’s important that you have a tool that will enable you to take care of yourself after an accident. Wouldn’t it be nice if everything was built using the same type of screw, allowing you to repair, assemble, and disassemble most anything using a single screwdriver? Since this isn’t the reality, and there are dozens of different types of screw heads, the best thing you can do is purchase a multibit screwdriver that enables you to work with each one. With a multibit screwdriver, you’ll be able to store every commonly used screwdriver bit within the tool’s handle. 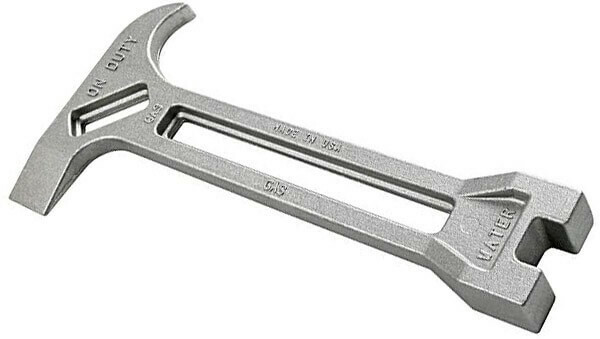 As you go about making repairs after a disaster, this may end up being the tool you turn to more than any other. Often times, demolition plays an important role in rebuilding. Of course, tearing through wood, concrete, steel, and glass is easier said than done, so you’ll want to have the right tool for the job. A demolition tool is a multipurpose tool that combines things such as an ax, a sledgehammer, and a prybar into a single tool. It’s the ultimate instrument of demolition, enabling you to do things such as tear through wreckage to free someone, break into an abandoned building, and much more. A major disaster can make a wreck of the plumbing in your home, flooding your home with water and/or filling it with dangerous gases. Therefore, one of the first things that you should do if a disaster destroys your home’s plumbing it to shut off the water and gas. To do this, you’ll need a gas/water shutoff tool. Shutting off the water or gas to your home isn’t exactly easy, but with the right tool, it can be done quickly. A tread bracelet turns some of the most useful tools into a fashion accessory that you can wear at all times, ensuring you will have the tools you need no matter where you go. By combining various screwdriver heads into a bracelet, a tread bracelet enables you to essentially wear a multi-bit screwdriver on your wrist. Best of all, it looks great, and chances are that no one will ever even realize that your bracelet is, in fact, a very useful tool.